Dr. Oliver M. Rui is Professor of Finance and Accounting at CEIBS. He is also professionally designated as Certified Financial Analyst (CFA) and Financial Risk Manager (FRM). Prior to joining CEIBS, Dr. Rui was a tenured Professor at Chinese University of Hong Kong. He has taught a variety of courses at both the graduate and undergraduate levels at the Chinese University of Hong Kong, Tsinghua University, Shanghai National Institute of Accounting, and Hong Kong Polytechnic University. He was the Program Director of Executive Master of Professional Accountancy which is a joint program between the CUHK and Shanghai National Institute of Accounting. He was a deputy director of Center for Institutions and Governance and a senior research fellow of Institute of Economics and Finance. Prof. Rui is also an award winning teacher and researcher. He received the Faculty Teaching Award at the Chinese University of Hong Kong, six years in a row, from 2004 to 2009. He received the 2013 Research Excellence Award at CEIBS. He holds a B.S. degree in International Economics (1990) from the Institute of International Relations in Beijing, a Msc. degree in Economics (1993) from Oklahoma State University and an MBA in Statistics (1995) and a Ph.D. in Finance (1997), both from the University of Houston. Dr. Rui has a wide range of research interests. He has published over 60 papers in reputable Economics, Finance, Accounting and Management journals including Journal of Law and Economics, Journal of Financial Economics, Journal of Financial and Quantitative Analysis, Review of Accounting Studies, Academy of Management Journal, Journal of International Business Studies, Journal of Management Studies, Journal of Economic Behavior and Organization, Journal of Banking and Finance, Journal of Comparative Economics, Journal of Corporate Finance, Journal of International Money and Finance, Journal of Empirical Finance, Journal of Business Ethics, Financial Review, Journal of Financial Research, European Financial Management, Journal of Accounting and Public Policy, Review of Quantitative Finance and Accounting, Journal of Behavioral Decision Making, Journal of Multinational Financial Management, Journal of International Financial Markets, Institutions and Money, Pacific Basin Finance Journal, Journal of Business Research, Economics of Transition and Emerging Markets Review. He has also published more than 20 papers in top domestic refereed journals including Economic Research Journal, Journal of Management Sciences, Management World, China Economic Journal, World Economics, Financial Research, China Soft Science Magazine, Journal of Systems Engineering, Systems Engineering-Theory & Practice, Statistical Research. He is also the author of two textbooks: A Collection of Empirical Researches on Chinese Stock Market and Corporate Finance. He has received several research awards including the research excellence award at CEIBS – 2013. His insight and expertise on finance matters have made him a sought-after source for national media such as the Financial Times, New York Times, Reuters, Bloomberg, Wall Street Journal, Economist, Le Monde, EXAME, Die Welt, The Korea Times, The Times, CCTV, Phoenix TV, China Daily, International Channel Shanghai, Shanghai Business Review, El Punt Avui, Hong Kong Economic Journal, Asiamoney, Singtao Daily, Hong Kong Economic Journal and the South China Morning Post. Prof. Rui used to serve as a member of the Panel of Examiners of the Securities Industry Examination of the Hong Kong Stock Exchange, a Member of American Finance Association, Financial Management Association, American Accounting Association, Hong Kong Securities Institute. 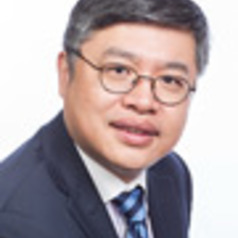 He is a member of the Advisory Board of the Business Valuation Forum in Hong Kong. He is a visiting financial economist at Shanghai Stock Exchange, research fellow at Hong Kong Institute for Monetary Research and research fellow at Asian Development Bank Institute. He is also a vice president of Hong Kong Financial Engineering Association. He has conducted in-house training for many large corporations such as China Mobile, China Construction Bank, Ericsson, R&F, Odebrecht and China Gas. He also serves as an independent director for several companies.